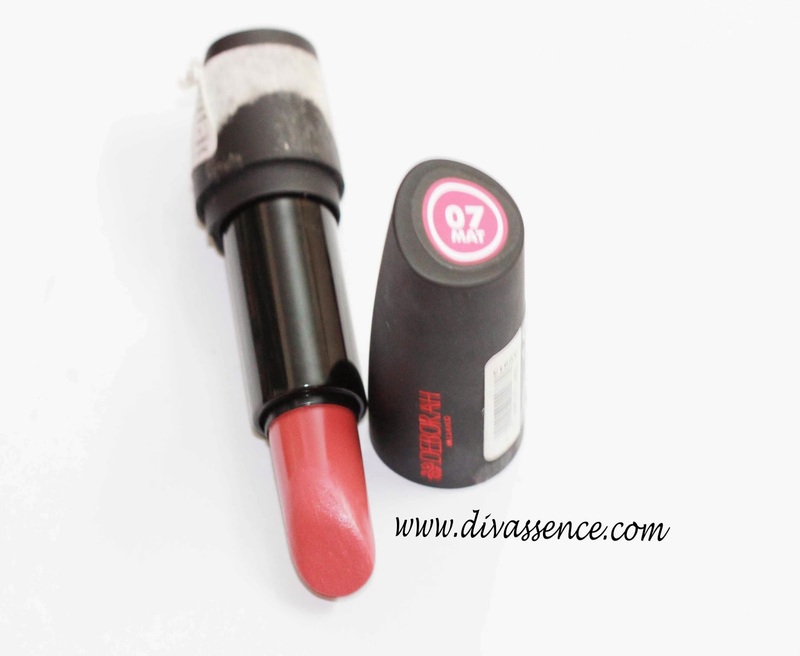 Deborah Milano Rossetto Atomic Red Mat Lipstick: Shade 07: Review/Swatch/LOTD - Divassence! I’m back again with a lipstick review and this time it is Deborah Milano Rossetto Atomic Red Mat lipstick in shade 07. Now this was (and still is) one of my favourite lipsticks, but that doesn’t mean that it is perfect. Where does it exceed expectations? Where does it fall short of expectations? Read on to know more. Satiny mat lipstick. Ultra-comfortable glide-on formula for velvety smooth lips that stay perfect all day long. Hypoallergenic. Packaging : I like the packaging, it comes in an asymmetrical matte black case with the brand name written on it’s side in red colour, just the shade number and MAT on top and the complete (rather lengthy :P) name and shade details on the bottom of the lipstick case. The labels on the top and bottom are colour coded, so searching for these when we are in a hurry wouldn’t be difficult It closes with a satisfyingly loud click sound and is very travel friendly. Shade : This shade is like a chameleon! It looks different under different lighting (refer to the lip swatches)! In the tube, it looks like a nice dusty rose shade but on the lips it’s a bubblegum pink kind of shade. 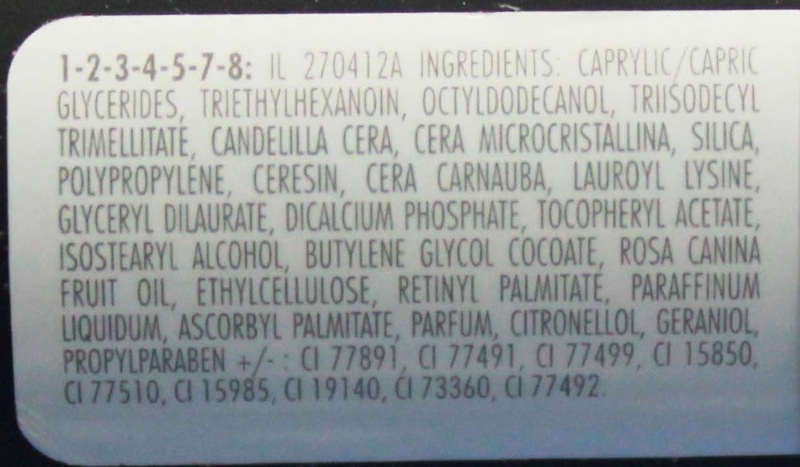 I would recommend it only for beauties with fair-medium skin tones. Staying power & texture : It stays well for 4-5 hours with mild snacking. It does get patchy after a meal and would require touch up. Lips start feeling a bit dry after a couple of hours, I swipe a lip balm on top of the lipstick when it gets too dry. 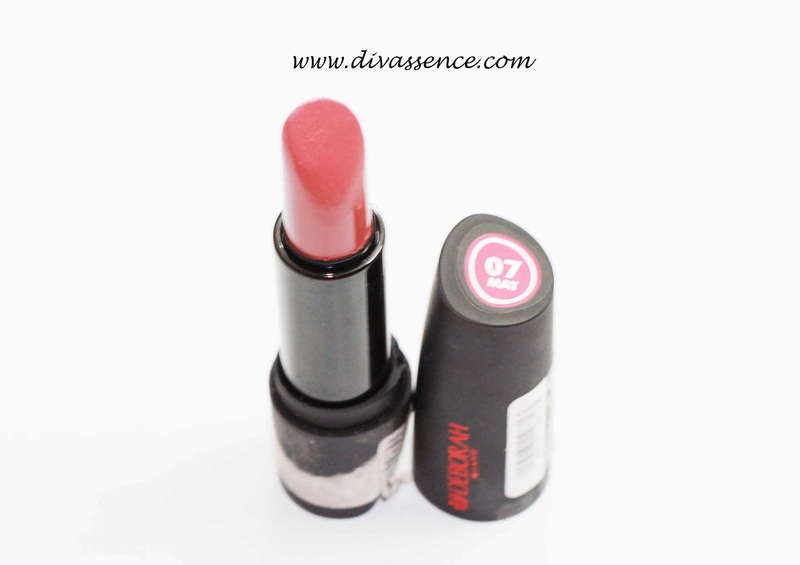 This lipstick will make you fall in love with it on it’s first application thanks to the creaminess of the lipstick but the bullet tends to get dry as time passes and it feels like a dry matte rather than creamy after a few months of usage. I’ve been using this for more than 8 months and its ease of application has definitely deteriorated. 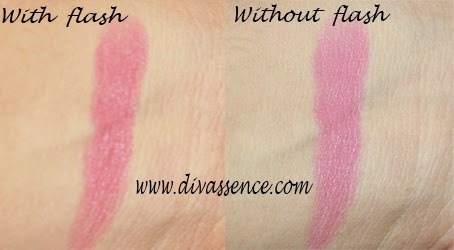 Pigmentation : It is very pigmented, 1-2 swipes is enough to cover even pigmented lips. In the lip swatch pics below, the first pic was taken when I wore the lipstick without a lip balm so it looks scary. I still took such a pic so you can have a look at how matte it looks. It dries out the lips so prep your lips by exfoliating it and applying a lip balm before you apply this lipstick. looks great on u! though not my kind of shade!